Come meet the team and take a look at some new stoves. Hearth and Home 2018, Hall C, Stand 6. Its that time of year again, time to welcome our trade customers existing and new to the Hearth and Home exhibition in Harrogate. 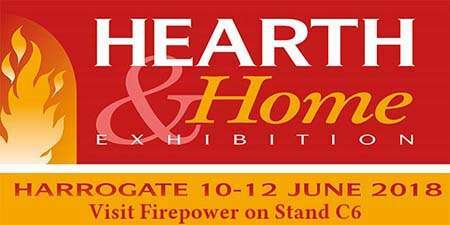 From the 10th to the 12th of June Hearth and Home is The UK stove industry show, with halls dedicated to woodburning and multifuiel stoves, chimneys, flue pipe, accessories. We are in Hall C, Stand 6. We will have some new models of Opus stove and Klover wood pellet stoves to let you have a look at, as well as a whole new brand to bring a different flavour to the range. We also have some "show specials" which you don't want to miss out on. We look forward to seeing you there. Find us at C6.